Need some new shoes for you and your teenage daughters? Kohl’s has a number of shoes and boots marked down to $19.99. You can work some “Black Friday magic” to bring that total down to as low as $11.99 after Kohl’s cash – follow along below. Even sweeter, you can save an additional 15% off all your purchases when you use the code NOVSAVE15 at checkout (valid thru 11/25). Shipping will be free on orders $50 ore more, or you can choose free in-store pick up, if available. And to top it all off, from today, November 21st through November 26th, you will earn $15 Kohl’s Cash for every $50 spent. Remember: Kohl’s Cash is good on a *future* purchase (November 27-December 5 — just in time for Cyber Monday! ), not the one that you’re making today. Plus, you get back $15 in Kohl’s cash on each $50 purchase — and free shipping! So you may want to check out the rest of the awesome Kohl’s Black Friday Deals. Or you can three pairs and pay just $11.99 after the Kohl’s cash. = Like paying $11.99 per pair after Kohl’s Cash! *Please note: You can stack up to four promo codes when you are shopping from a desktop or laptop computer. If you are shopping from a mobile device, you can only use two codes per order. 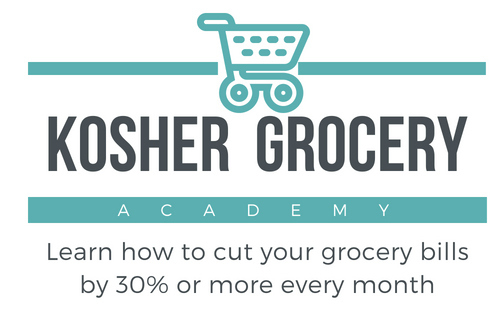 Are you signed up for the Kosher on a Budget Chanukah Newsletter? Each morning, you’ll wake up to an email from me with that day’s hottest deals on gifts for Chanukah.